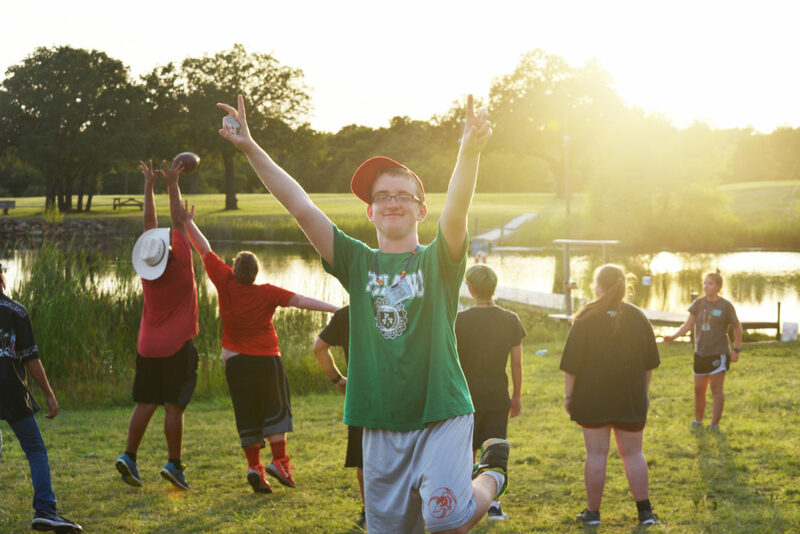 Nestled in the quiet serenity of Sunset, TX, is a summer camp making a difference by helping high functioning autistic children gain confidence and discover social skills. Charis Hills is a Christian summer camp for kids with learning differences and social difficulties. Charis is a Greek work meaning grace and acceptance, and in today’s world, kids need more of both. The camp offers a place of acceptance with other children who are following a similar path in life in a safe and encouraging environment. “We work with a specific group of kids, primarily children who have high functioning autism. We want to share the good news of Christ and help them grow socially to make friends, emotionally to gain independence and confidence,” explained Colleen Southard, who is one of two founders of Charis Hills with her husband, Rand. The eight-week summer camp provides fun for all campers, with more than 20 recreational activities available including fishing, boating, archery, sign language, team sports, dancing and snorkeling. Charm School in a Teacup is available for girls and Chivalry Hour for teen boys. Nova, another elective activity, is an academic, hands-on activity. The camp offers opportunities that may not be available to the kids at home or school. The kids receive academic reinforcement each day while participating in traditional summer camp programs while learning about Christ. Campers begin each day with breakfast and gathering around the flagpole before taking part in four activities before lunch. After a family style lunch, campers return to their cabins for “crosstalk”, when each one is given a chance to learn a little more about the bible. The hottest part of the day is reserved for an afternoon siesta with a snack after waking up. Nighttime is generally the highlight of the day with a large activity involving costumes, energy, loud music and silliness. The night activity is followed by devotions and some time before lights out at 10 p.m. The day full of social activity builds skills in each camper they will carry back into their normal daily lives and teaches campers they can have a successful and fulfilling life.